Happy Nepali New Year 2074! On behalf of Nepalese Association in Southeast America (NASeA) together with my officers, all former Presidents and advisers, and well-wishers of NASeA, I extend to you all, good health and prosperous life ahead during the auspicious occasion of Nepali New Year 2074! As we welcome Nepali New Year 2074, we proudly invite you all to be the part of 13th NASeA/ANMA Joint Convention 2017 in magnificent city of Charlotte, NC during the Labor Day weekend i.e. September 2-4, 2017. Please be advised to lock this date and stay tuned for further announcements. NASeA proudly marked her Silver Jubilee in 2016 with various activities and officially declared to continue the spirit of NASeA Silver Jubilee 2016 to the 2017 convention. To honor this, we successfully completed Blood Donation Drive in 6 States (Alabama, Florida, Georgia, Tennessee, North Carolina and South Carolina) where 93 Social Heroes donated blood saving 279 lives. Furthermore, during the joint convention we will proudly honor “Silver Jubilee Medal” to all distinguished individuals for their outstanding contribution towards NASeA. We will officially release NASeA Silver Jubilee Bisheshanka. 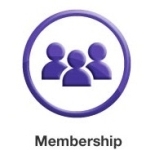 NASeA Life Member is indeed a Life Time pride and we encourage all to take the benefit of special Silver Jubilee discount and be NASeA’s prestigious life member. Welcoming Nepali New Year 2074, I would like to propose NASeA together with her partner State organizations will work towards sponsoring “ADOPT-A-HIGH WAY” in the respective regions and community. Nepal Center of North Carolina (NCNC), North Carolina has been the 1st State to Adopt-A-High-Way in our region and now from this year the town of Morrisville, NC has officially declared the third Saturday of April as a Nepal Day. This is the first time any city in North Carolina or NASeA region has recognized Nepal. These types of activities will indeed open the door for Nepali organizations “Civic Engagement” in all fronts to best serve our village, city, town and state of this great nation and keep our Nepali American identity alive. Let us together Welcome Nepali New Year 2074 with Pride! During this special occasion, let us all meet, greet and welcome Nepali New Year B.S. 2074 keeping our rich traditions alive here in the US far from our motherland Nepal. I join NASeA Interstate Coordinating Committee Chair Udhav Karki in circulating the announcement of various State/Student and Community organizations Nepali New Year 2074 celebration events to be held in various cities and states of our region. With due respect, I would like to inform you all that I will be participating in three regions of North Carolina i.e. Morrisville-NCNC, High Point-TNCC and Charlotte-GCNA during this New year’s event and encourage all our officers, advisers, Former Presidents, Life Members to represent NASeA and be the part of local event to welcome Nepali New Year 2074! Nepali New Year Picnic 2074 is organized by Nepalese Association of Florida (NAF) in association with Nepali Community Center (NCCO), Orlando, FL. Nepalese Student Association of University of South Florida NeSA @ USF together with Nepalese community in Tampa is organizing Nepali New Year Picnic 2074 at USF Park. Successfully organized “Ban-Bhoj” to welcome Nepali New Year Picnic 2074 Picnic organized by Nepalese Association of Florida (NAF)- Jax Chapter in association with Nepali Community in Jacksonville, FL. Venue: 8th at Little Talbolt Island State Park. “Nepali New Year 2074″, Celebration together with NAG Election 2017-2018, and Annual General Meeting Celebration in Atlanta, Georgia. This event is organized by Nepalese Association in Georgia (NAG) and request all Nepalese to be the part of this New Year Celebration event. Voting Time: 1 pm to 8 p.m.
Nepali New Year 2074 celebration in SC by organizing Picnic. South Carolina Association of Nepalese (SCAN) requests all to come and together welcome Nepali New Year 2074. Egg hunting (Easter) will also be performed for kids with delicious foods and music. Nepali New Year 2074 Celebration, with Nepal Day parade with various cultural activities organized by Nepal Center of North Carolina (NCNC), North Carolina. It is a pride as the town of Morrisville, NC has declared the third Saturday of April as a Nepal Day. 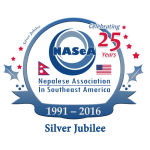 This is the first time any city in North Carolina or NASeA region has recognized Nepal. The highlight of this historical event will be the Ribbon Cutting Ceremony of the Parade in presence of H.E. The Nepali Ambassador to USA Dr. Arjun Karki and Honorable Mayor Morrisville Town Mark Stohlman and other distinguished guests. Two miles long parade starts from Morrisville Town Hall and ends at Church Street Park. The parade will be a showcase of Nepali community of the area displaying wide range of Nepali culture and tradition. Nepali New Year 2074 Celebration, TNCC Elected officers (2017-2019) Installation ceremony with various Cultural/Sports activities food and fun organized by Triad Nepalese Community Center, (TNCC), North Carolina. Triad Nepalese Community Center (TNCC) is the first organization in NASeA region to establish her own TNCC community center in High Point, NC. A perfect way to keep our culture and identity alive under one roof of community center. Nepali New Year 2074 celebration with an outdoor yearly event in Charlotte. Welcoming the New year and enjoying the beautiful weather of Spring with families and friends organized by Greater Charlotte Nepalese Association (GCNA), North Carolina. Nepali New Year 2074 Celebration, NANA Election, and Elected officers (2017-2019) Installation ceremony with various Cultural/Sports activities food and fun organized by Nepalese Association in North Alabama (NANA), Alabama. Nepali New Year 2074 celebration in Knoxville, TN organized by Tennessee Nepali Student Association (UTNSA). Nepali New Year 2074 celebration in Jackson, MS organized by Nepalese Community in Jackson, Mississippi. Nepali New Year 2074 celebration in Louisiana organized by Nepalese Student Association of Louisiana State University and Nepali Community in Louisiana. Stay tuned for the detail information. We will update accordingly. NASeA proudly shares her service towards the community. With our effective communication and active partnership with all our State/Student and community organizations we will give consistency to our mission in best serving our community of this region and together we will learn our best practices and moving forward build a strong networking always placing the American Nepalese community first. I urge all State/Student and community leaders to provide us with the information of Nepali New Year 2074 Celebration and other regular activities in your region and we will update the monthly calendar accordingly. As always, thanks for all your support. Let us all welcome the Nepali New Year 2074 and together keep our Nepali American root values alive here in US far from our motherland Nepal.